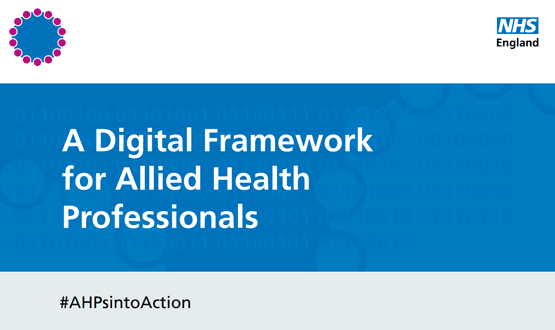 NHS England has published its first digital framework for allied health professionals (AHP), setting out three key ambitions for a digitally enabled service. 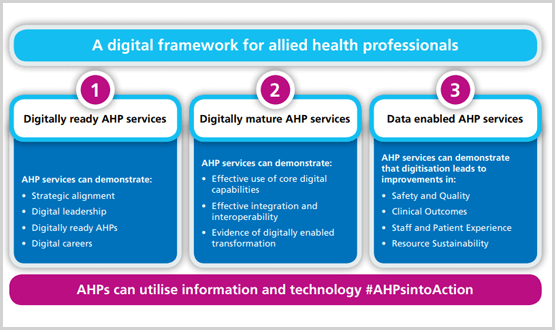 The three ambitions; digitally ready AHP services; digitally mature AHP service; and data enabled AHP services, provide a “structure to develop a local plan of delivery”, the report said. Ambition one requires AHP leaders and staff to plan for, and deploy, digital services with the aim of reaching ambition three – data enabled services. Nationally, most of the work being done to deliver digitally read care is being lead by Health Education England’s, with the recently released Topol review guiding this. 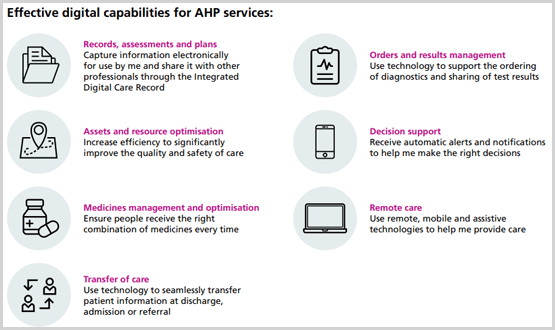 AHP leaders should then aim to implement technology and business changes to effectively digitise services including; records; medicines management and optimisation; transfer of care; results management; decision support; and remote care. But the report cautions AHPs should be innovative in the way care is delivered, “it should not mean AHPs services just digitise the way paper-based services are delivered now”. That includes, but isn’t limited to, integrated care pathways, advanced data analytics and population health management, and patient self-management. To achieve effective integration and interoperability the framework encourages AHPs to work with the INTEROpen action group and local Academic Health Science Networks on APIs; consider using SNOMED CT in electronic health records; and work with local governance teams to ensure staff are kept up-to-date with cyber security measures. Suzanne Rastrick, chief allied health professions officer, said AHPs need to engage with, and influence, local STP digital maturity assessments. “Digital capabilities and data have transformed other industries in a way many could not have imagined a decade ago,” she said in a letter. 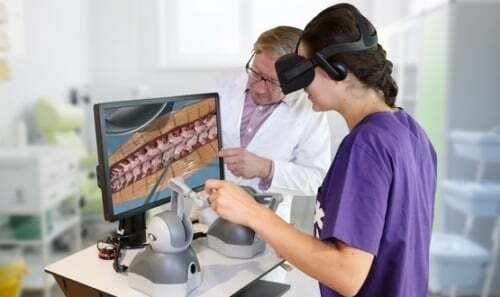 “As allied health professions we have an individual and collective responsibility to develop our use of these digital capabilities and data, anticipate the challenges and realise the benefits. 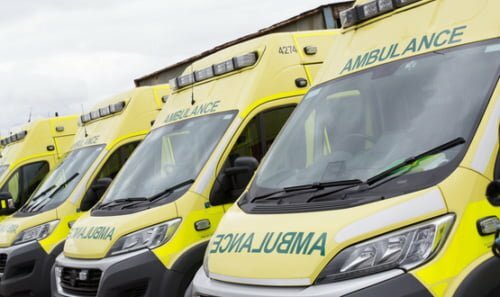 “AHPs will need to work with their chief clinical information officers’ (CCIO’s), chief information officers’ (CIO’s), technology, information and finance leads to understand how they can use digital capabilities and health technologies available to achieve the ambitions of the NHS Long Term Plan. 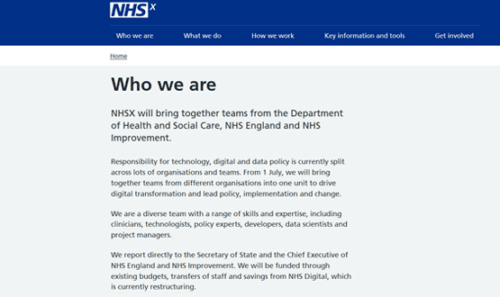 Once AHPs have achieved ambition one and two they should work closely with CIOs and CCIOs to ensure their digital capabilities provide the right data to support their priorities. The resulting data should improve safety and quality; clinical outcomes; staff and patient experience; and resource sustainability. Investment in, and the prioritisation of, digitisation efforts will be focused on technologies and digital capabilities that deliver against these four categories, the framework states. A copy of the framework can be viewed here.